How awesome is this? They took plain old stir sticks from a home improvement store, and made this expensive looking pendant. Over at Enjoying The Simple Things she walks you through her brilliant idea. 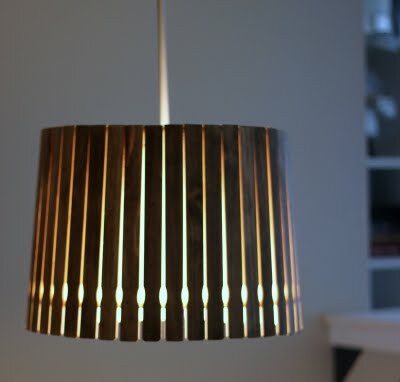 Just an old lamp shade, some stir sticks, and stain and, TA-DA this beautiful pendant! I love this idea! 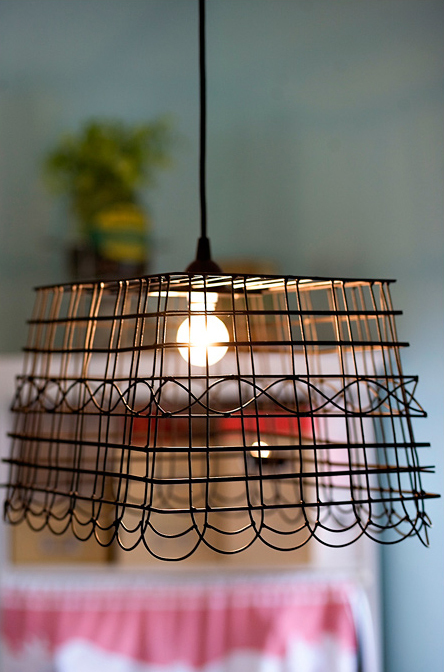 A great light fixture can be expensive, but can dramatically change the look of a space. 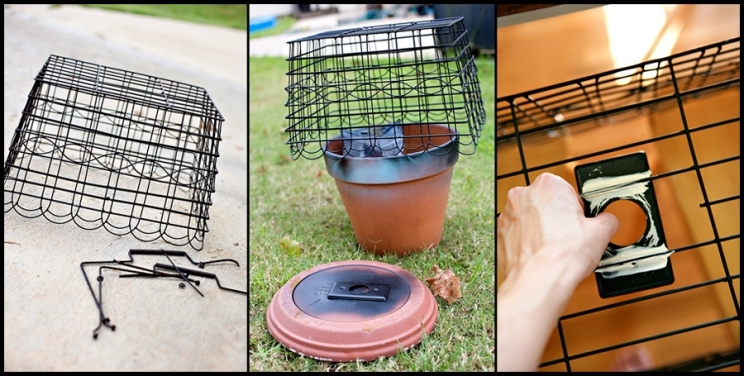 With a couple easy steps, you will have a gorgeous fixture! How cute is that? Get all your directions, pictures, and supplies needed at Under The Sycamore.